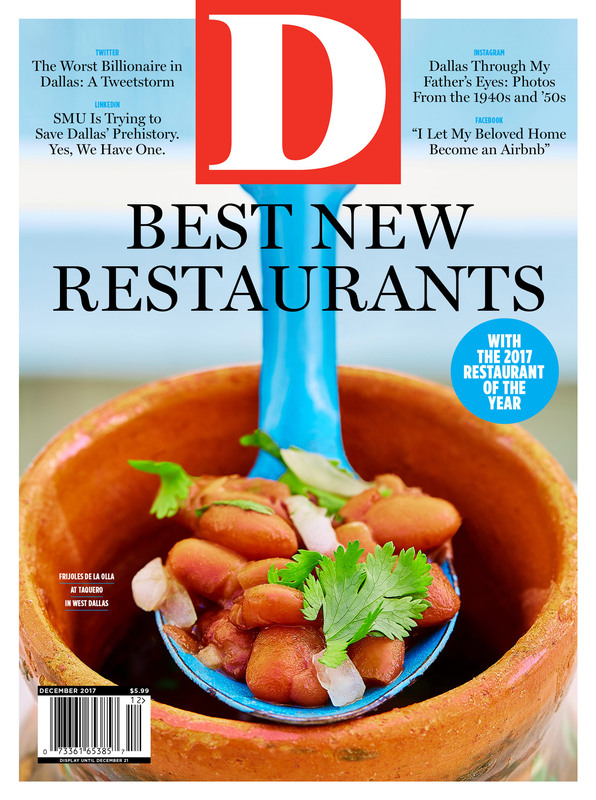 By Eve Hill-Agnus | 1 year ago From humble taco stands in West Dallas to opulent steakhouses in the Design District, the year's best meals were all over the map. By Connell R. Miller Jr. | 1 year ago For years my dad roamed the city, large format camera in hand, capturing moments big and small. Here his photos are published for the first time. By Laray Polk | 1 year ago In a basement at SMU, an archaeologist is trying to save North Texas' prehistory. Her work shows us how recklessly Dallas has built a modern city. By S. Holland Murphy | 1 year ago Some of the most stylish men in North Texas—and they’ve got the Instagram pics to prove it. By Stacy Girard | 1 year ago The Renaissance Dallas, the Sam Moon Group's latest venture, unites heritage and contemporary art. By Catherine Downes | 1 year ago Be sure to try the American Tuna Tower at the latest venture from the team behind East Hampton Sandwich Co.
By Caitlin Clark | 1 year ago The sports apparel brand has won over triathletes as well as celebrities like Zac Efron and Daisy Ridley. By Eve Hill-Agnus | 1 year ago Welcome to the new East Dallas neighborhood dumpling spot. Chopsticks. Chile Oil. Go. By Catherine Downes | 1 year ago Our favorite holiday tradition is shucking a tamale. By Joe Tone | 1 year ago Our house became a home. When we sold it and left Dallas, it became something else entirely. By Tara Nieuwesteeg | 1 year ago The Lowest Greenville eatery and bourbon lounge seems to have emerged from the fantasies of plaid-wearing dudes in their 30s. By S. Holland Murphy | 1 year ago Take a tour of the accessory brand’s canine-friendly offices and cleverly refurbished Airstream. By Eve Hill-Agnus | 1 year ago The new restaurant, which replaced the former Stephan Pyles in this downtown spot, gets some things right. Just not what you'd expect. By Annie Wiles | 1 year ago Under a new artistic director—just the second in its history—Dallas Black Dance Theatre’s 41st season explores new creative terrain. By Peter Simek | 1 year ago Removing the Confederate sculpture in Oak Lawn was necessary and overdue. But it reminds us of the power that art holds, for good and ill.
By Zac Crain | 1 year ago Check out these North Texas-connected tomes about basketball and other things, basketball, and other things. By Megan Ziots | 1 year ago These Dallas companies gather the goods and wrap them up into beautiful gifts, allowing you to focus on the fun part: giving.